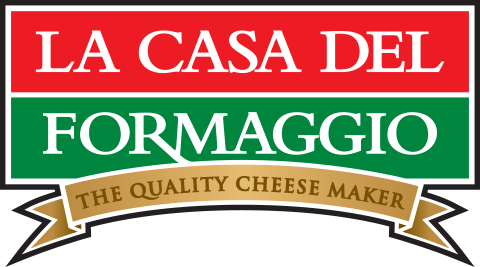 This web site (the “Web Site”) is owned and operated by La Casa Del Formaggio, 35 Sunbeam Rd Glynde, SA (“we/us”). The use of this Web Site is governed by the following terms and conditions, as amended by us from time to time (the “Terms and Conditions”). By using this Web Site, you acknowledge that you have read and understood these Terms and Conditions, and agree to be bound by them. You should read and familiarise yourself with these Terms and Conditions prior to using this Web Site. If you do not agree with these Terms and Conditions you must immediately stop using this Web Site. We do not represent or warrant that this Web Site will be accessible or available on a timely basis, or that access to this Web Site will be uninterrupted or error free. Nothing in these Terms and Conditions obliges us to continue operating all or any part of this Web Site. We may modify or close down this Web Site (or part of it) at any time without any liability on our part. Information sent by you to us through this Web Site is not encrypted. You acknowledge that we do not guarantee the security of the content of any such information, and it is entirely your responsibility to satisfy yourself as to whether our security measures are sufficient for your requirements. This Web Site may contain links to other web sites maintained by third parties. These web sites have not been prepared by and are not controlled by us. We do not make any representation as to the accuracy or suitability of any of the information contained on those other web sites, and do not accept any responsibility or liability for the conduct of those third parties or content of those other web sites. If this Web Site contains third party advertisements (such as banner ads or referral buttons) which contain embedded links to other sites where goods or services are advertised, the placement of such advertisements on this Web Site does not constitute the recommendation or endorsement by us of any goods or services advertised by the third party. The third party advertiser is solely responsible to you for any representations or offers made by it, and for any goods or services which you agree to purchase or acquire from those third parties. Unless otherwise indicated, Intellectual Property in all information, data, text, graphics, images, logos and trademarks contained in this Web Site is owned by or licensed to us and all rights are reserved. Except as expressly permitted in these Terms and Conditions, or as otherwise permitted under the Copyright Act 1968 (Commonwealth) or other applicable laws, you must not copy, reproduce, adapt, transmit, broadcast, make available, redistribute, publish, resell, store or otherwise deal with any part of this Web Site (whether in hard copy, electronic or any other form) without our prior written consent. Any reproduction of any content from this Web Site must include a prominent acknowledgement of our rights in the relevant content. You may print or download to your hard drive, extracts from this Web Site with our prior written consent only for personal informational or non-commercial purposes. You must not use any trademarks, service marks or logos which appear or are used on this Web Site, nor do anything to prejudice the rights of the owner or licensee of such trademarks, service marks or logos. You must not create a link to any part of this Web Site (other than solely for your own personal/domestic, informational or non-commercial purposes) without our prior written consent. References to Intellectual Property include the design of, and all content appearing on, this Web Site, trade marks (including logos), domain names, copyright, rights in computer software, databases and lists, confidential information and know-how, whether registered or unregistered. We only provide the content on, or accessed through this Web Site, for general information purposes only. You must make your own assessment of the suitability of the content for your own purposes. You are solely responsible for the actions you take in reliance on the content on, or accessed through, this Web Site. Without limiting the generality of the above, no content on or accessed through this Web Site should be treated as constituting, nutrition or professional advice and should not be relied on as such. Specialist nutrition or professional care and advice should always be sought for your particular circumstances from your nutritionalist or other professional adviser. We may change the content described on this Web Site at any time without prior notice. You agree to use this Web Site only for the purpose for which it is being provided. You agree not to use this Web Site for any improper, injurious, offensive or unlawful purposes. You agree not to damage or disrupt this Web Site. While we will attempt to ensure that the information provided on this Web Site (including illustrations and specifications for products) is correct, we cannot guarantee its reliability, accuracy or completeness. The information provided on this Web Site should not be considered advice of any nature. Such information is provided on an “as is” basis, without warranties, representations and guarantees of any kind, either express, implied or statutory, including without limit, suitability, fitness for purpose, accuracy or completeness of this Web Site. unavailability of, or defect in, any products advertised on this Web Site. and in the case of the supply of services – supplying the services again, or paying the cost of having the services supplied again. You agree to indemnify the Company and Staff and keep the Company and Staff indemnified in respect of any claim, liability, loss, damage, cost (including any legal cost) or expense which the Company and Staff or any of them may suffer or incur as a direct or indirect result of your wilful or negligent act or omission with regard to this Web Site (or any part of its content and functions) or your breach of these Terms and Conditions. You may need to agree to additional terms and conditions for any promotions or competitions which may be available to you from time to time through this Web Site, prior to being able to participate in such promotions or competitions. Any such additional terms and conditions must be read in conjunction with these Terms and Conditions and to the extent of any inconsistency, these Terms and Conditions will prevail. Your ability to access and use this Web Site may be terminated by us at any time without notice and without any liability to the Company and Staff. Any indemnities given by you and limitations on the Company and Staff’s liability will survive such termination. Any termination of your right to use or access any part of this Web Site will not affect any rights which have accrued to or have been accrued by either you or us prior to termination. You must comply with all applicable laws, ordinances, rules, regulations codes, and codes of all relevant regulatory bodies in relation to your access to, or use of this Web Site. These Terms and Conditions are governed by, and are to be construed in accordance with, the laws in force in the State of South Australia, and you irrevocably and unconditionally submit to the non-exclusive jurisdiction of the courts in that State. We may amend these Terms and Conditions from time to time so you should check and read these Terms and Conditions regularly. They are made on this web page www.lacasa.com.au/terms/. By continuing to use this Web Site after any such amendment, you are deemed to have agreed to the amended Terms and Conditions. If you have any questions or queries in relation to this Web Site or these Terms and Conditions, please contact us (our contact details are set out on our Contact Us page here http://lacasa.com.au/contact/).